Weekend hunt and color ref! For this weekend hunt I have browsed around wearing my “color glasses”, look what I found! The confetti dinner ware is made by Alumnia and comes in different colors all named after Danish women, its vintage and upperclass antique, a bit pricy BUT really cool and up to date interior wise! I found this wonderful selection in Tante Tulis shop in Amager. The NotKnot pillow is from Luxo Living – I love the soft and dynamic shape and the grey color fits perfectly! AND welcome to my kitchen – I want to show you how the color can add a cozy and warm atmosphere! Do you agree? I am in the process of finding a new light source in the kitchen. 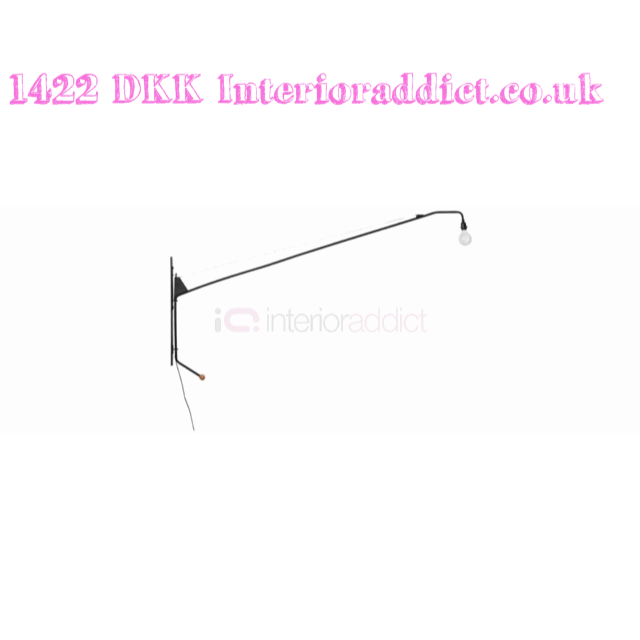 I really love my chandelier but I´ve had it for years and I want some changes – a new look! BUT I am on a budget! 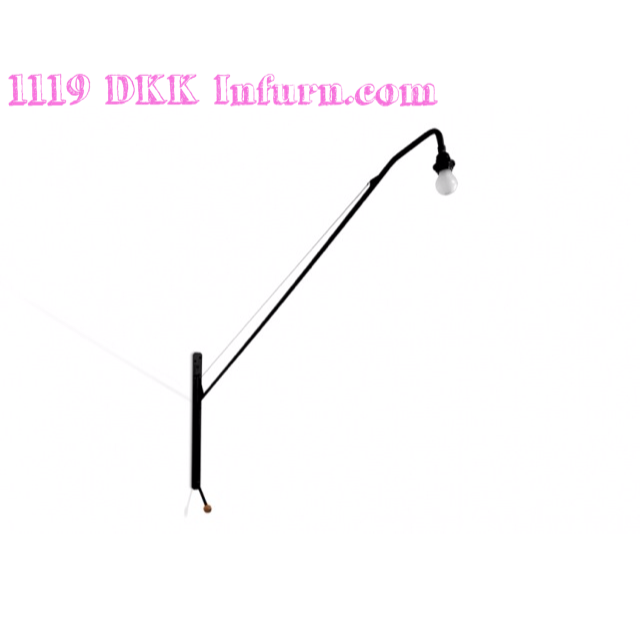 I have an idea that I want a selection of longarmed-wall-lamps and maybe in combination with this cool and VERY cheap one from IKEA only DKK 79! I want to add a hard material to the soft wall and I think the Aluminum material is quite good! HAPPY WEEKEND EVERYBODY – LETS COLOR THE WORLD! SASSY AND HOT pendants – cheap´n cool option! I have fallen deeply in love with the rough diamond pendant from the Australian Ben-Tovim Design and the (a bit) similar ones from Dutch JSPR design, but since they “belong together” – the entire look lies within having the different shapes and metals hanging in a cluster – I must be realistic, Ill never be able to save up 258 Euro (for one) or 1400 AUD AND maybe I really do not want to spend so much on lamps! But look, aren’t they cool? So I decided to surf around and HEY look what I found! The two ones from Ellos is only DKK 279 and the one from Etsy DKK 697 – a cheaper option, still cool, still class – interior design isn’t about price!!! IN HONOR OF PH 120 YEARS! 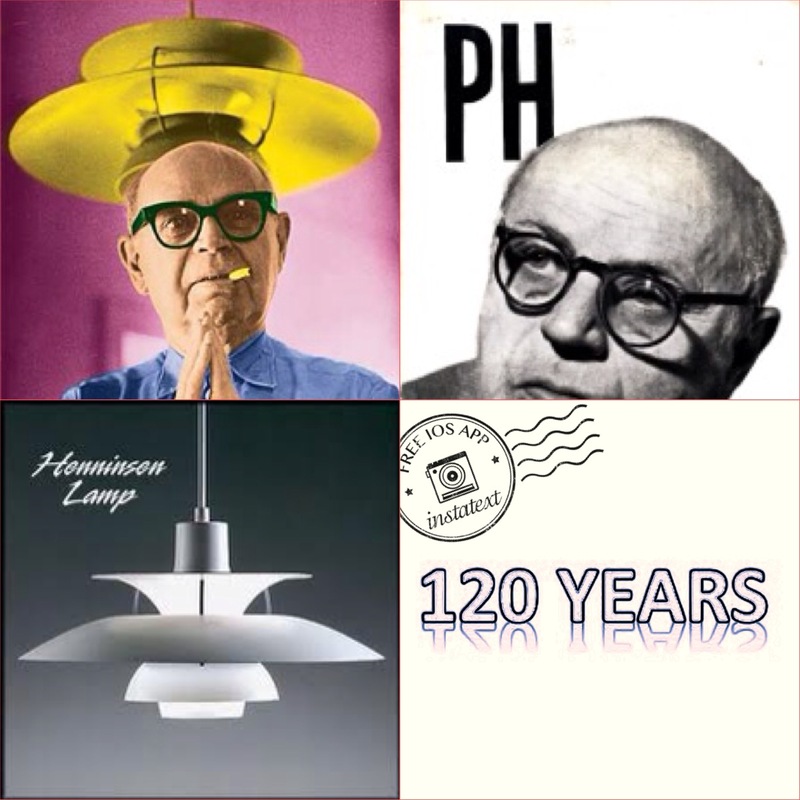 The iconic Danish designer Poul Henningsen would have turned 120 years on the 9 September this year! On that occasion Louis Poulsen has decided to launch a limit version of one of the first lamps in the PH system. The shade and socket of the lamp is made ​​of copper and the middle and lower shade is hand-blown glass. The copper is unpainted which will add a marvelous the patina to the lamp over time. HAPPY READING AND HAPPY DAY! LIKE, FOLLOW AND SHARE INTERIORWISE.WORDPRESS.COM – THE MORE THE MERRIER! THIS IS THE #3 IN THE SERIAL OF YOUNG DANISH DESIGNERS!! Nina Bruun – educated from The Royal Danish Academy of Fine Arts in 2012. I got acquainted with Nina Bruuns design two years ago at an exhibition at the Academy in Copenhagen. It was love at first sight, when I saw her VARY couch and I immediately contacted Nina if it would be in production – maybe it would! Today Nina Bruun is the founder of NINA BRUUN Design Studio located in Copenhagen. The studio offers; a full creative direction, furniture and interior design service, from the two-dimensional page to the three-dimensional space, and from the real to the conceptual. Today you can find Nina Bruuns Permanent Collection at Museum of Arts and Design, New York. I have chosen to show my two favorites Bruun design – of cause the VARY couch (which I still haven’t been lucky to catch) and the HALO lamps! Nina has worked with how our lifestyle has changed the use of the sofa, today the couch serves as the heart of many homes where we sleep, work, eat, love and socialize – this is what I she tried to accommodate in this solution – and therefor the perfect name VARY! As for Anita Johansens Daybed shown the #2 young Danish design post, Nina Bruun has challenged the traditional way to upholster by choosing loose upholstered elements that makes it possible for the user to customize the sofa. Stunning, right? The lamp works alone, but I think its really awesome in pairs or in groups! The HALO lamps are inspired by the total solar eclipse – the indirect light creates a circle of light behind the lamp. The ring of light is known from the moons covers the sun and the outer layer of the sun becomes visible for the human eye – the corona. I am totally crazy about Nina Bruuns design, both the couch and the lamps work perfectly in a mixed style – It doesn’t have to be minimalistic, simple and elegant – could be cool in a mix of second hand, vintage meets modern design – What do you think? PRESS FOLLOW AND GET LOTS AND LOTS OF INSIGHT AND INOUT TO YOUR HOME DECOR!